A Virtuemart search and filtering suite. Is offering both a Powrefull Product Search and a Filtering module that filters with Categories, Manufacturers, Custom fields and Price range. It is very fast and highly configurable. 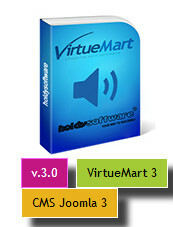 Virtue Affiliate is the complete affiliate solution for Joomla and VirtueMart! Easy to install and to use, Virtue Affiliate is the perfect component to manage your affiliate network! Having a comprehensive report of your site sales can help you make the most out of your store decisions. 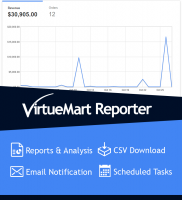 As a result, many vendors whose website is designed with Virchumart uses the VirtueMart Reporter plugin. This add-on allows you to get daily, monthly, and yearly reports of your sales and earnings, and will display these results as a graph. But wait. The work of this plugin is not only summarized here, but also comprehensive information about buyers, their countries, a set of products that were purchased in a month, and a chart of them and so on. This patch allows you to make the module Maximenu_CK compatible with the ecommerce component called Virtuemart. You can now list automatically all your published Virtuemart categories in a dropdown menu in a few seconds. It suffices to write the name of a music file in the plug-in settings for your specific product, its URL (the physical location of the audio file on your or partner's server), and allow your customers to listen to a soundtrack, for example, from a music album that is being sold. Many people, when buying music, first need to listen to what they want to buy and then decide. Using this audio plugin speeds up your customer's choice to buy the goods right for you. This is true one page checkout which really raises your sales. It is simple to install, and fully support multilingual sites including RTL. One Page Checkout uses AJAX for loading shipping methods, supports advanced payment modules such as PayPal Pro and works on all versions af VirtueMart (1.1.x and 2.x). RuposTel OnePage Checkout is bundled in Joomla Installer and has nice configuration backend. This One Page Virtuemart checkout has several fully styled checkout templates. 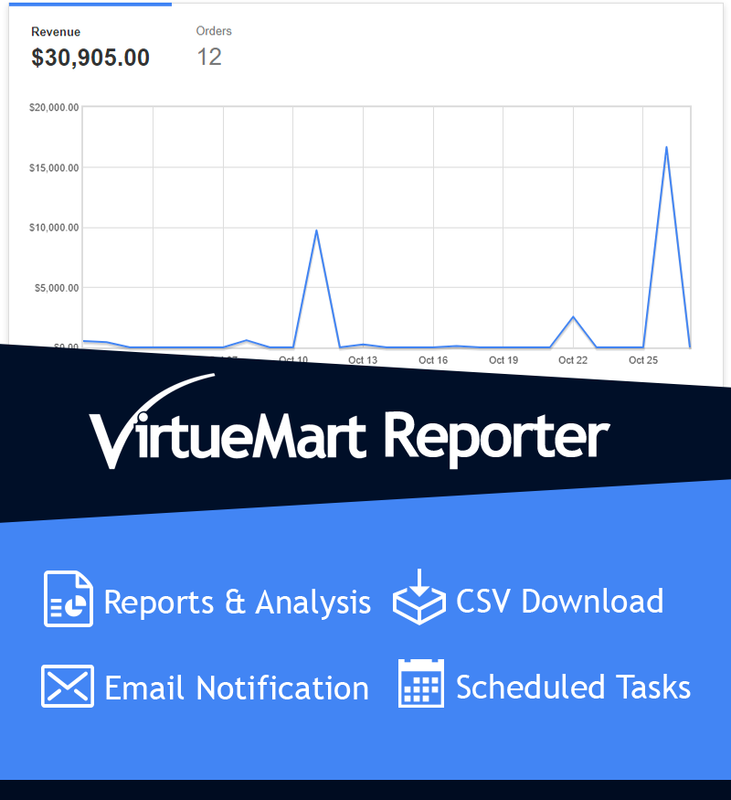 We believe this is the most sophisticated One Page Checkout component available for Virtuemart and we provide continuous support for it since 2008.